The academic year is split into Teaching Period 1 (first six months of the year) and Teaching Period 2 (second six months of the year). 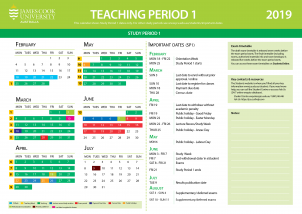 Each Teaching Period includes the main 13-week Study Period (SP) as well as block and/or intensive study periods. 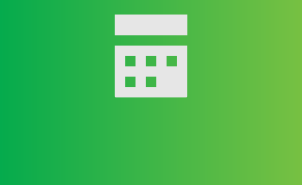 Browse key calendar terms and definitions. 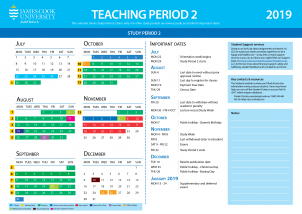 See also JCU Course and Subject Handbook for current academic calendars and important dates (Study Periods, Research Periods and Research Training Periods) for all campuses, including Singapore and Brisbane. To view your Timetable for Teaching Period One and Teaching Period Two, log into your Timetable. To view previous years' Timetables. click here. You can also download the JCU App to your mobile device for your personalised Timetable once your Class Registration is complete. For more information, click here. See the JCU Course and Subject Handbook for 2018 academic calendars and important dates, all campuses.